The better way to higher efficiency, lower fuel bills and less time cleaning. A small size and a big punch make this new SAM-JR firetube boiler cleaner a powerhouse for smaller boilers. Designed to handle light to medium scale deposits in boiler tubes 2" (50.8mm) - 2 1/2" (63.5mm) O.D. This lightweight and super portable firetube cleaner is ideal for gas-fired boilers, oil boilers and more. And it's easy to use and to handle. It's "dial in" tube length and dual distance indicators literally let you set the tube length and punch away, without fear of overextending the machine and tape. 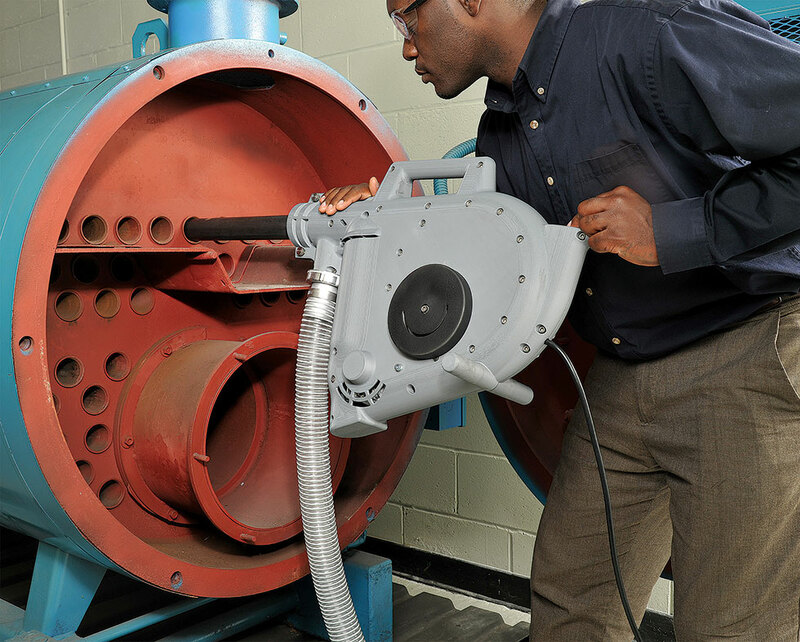 It's simply the best solution for cleaning smaller firetube boilers. 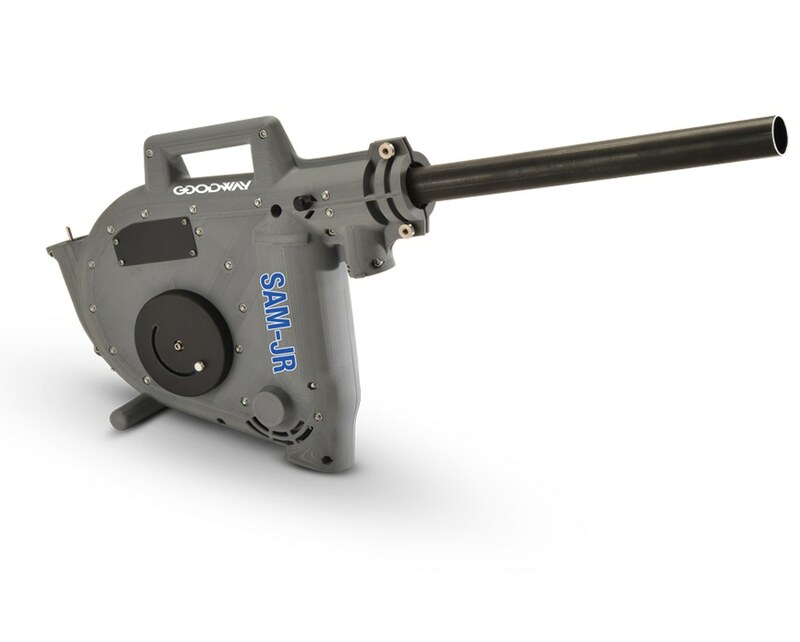 Use with larger soot recovery systems or with our new SootVac®-JR soot industrial vacuum cleaner for best results. SAM-JR boiler tube cleaner, 18" straight nozzle and brush. Firetube boiler cleaning generates a lot of soot and scale, and the SootVac-JR industrial vacuum cleaner is just the product for cleaning all of it up. Specially designed for use with the SAM-JR Firetube Boiler Cleaner. Bayonet nozzles are used in conjunction with the SAM-JR system to properly size the SAM-JR to the ID of tubes and aid in the material pickup. High quality brass boiler cleaning brush for use with the SAM-JR boiler tube cleaning systems. Available in 2" (50.8mm) OD and 2.5" OD (63.5mm) sizes.